When it comes to shoes, things can get a little tricky with organization. Somehow shoes end up anywhere and everywhere, like in the middle of your living room. It’s good to have a designated place to store shoes so that they are easily accessible and you know exactly where they are. 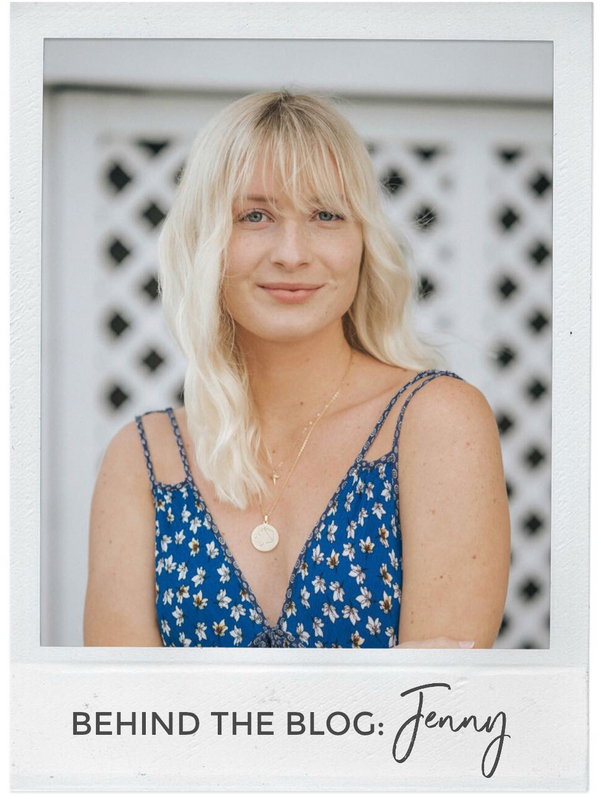 Gone are the days that the pair of sandals you are looking for can either be in the closet, by the door, under your dining table, or somewhere in the bedroom. 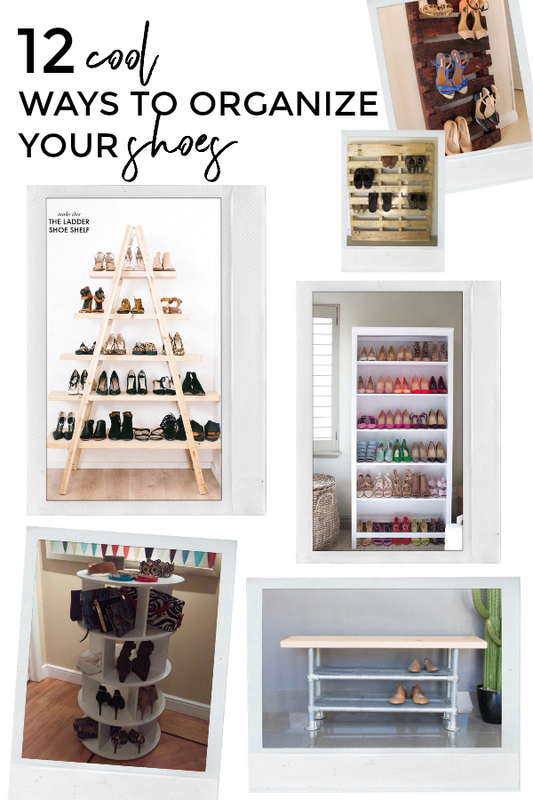 Shoe storage is the cure to shoe clutter stress. 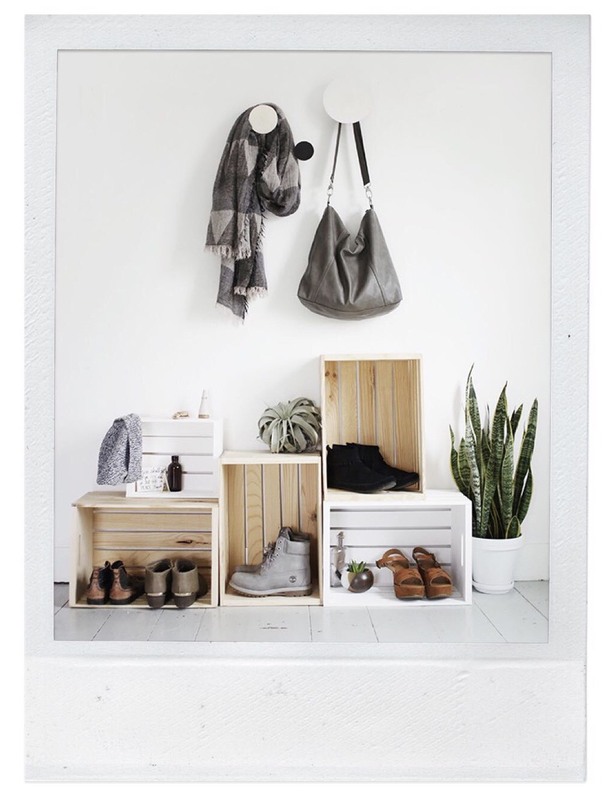 By having a space for shoes, your life WILL be less cluttered and happier. Because let’s face it, organization is key to a happy life. Or is it love? 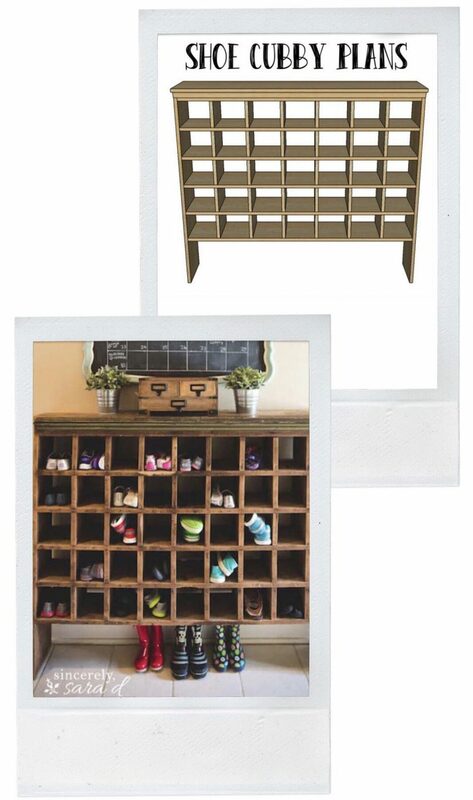 I’m digging all of these shoe storage ideas and think they super cool and unique. You houseguests will want to copy your organization skills. To take it up a notch, sort your shoes by color or type. That will really help you out when your looking for a specific pair. There is just something about putting your shoes on display that makes every girl giddy. Or am I alone on that? 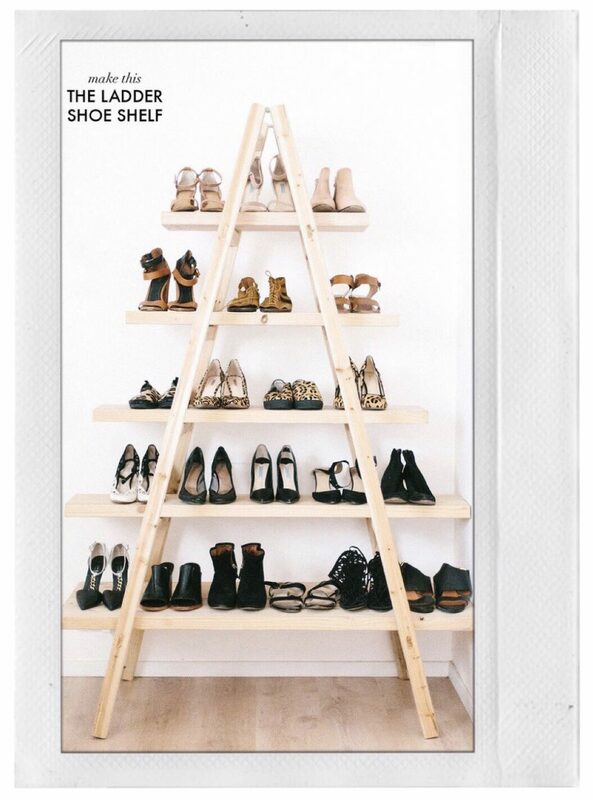 Either way, it’s hard to admit this ladder shoe shelf isn’t cool and creative. If you’re not one for having a ton of shoes, you could use it for other things as well like hats, purses, or storage for random items. I’m in love with this one. A bench near your front door is perfect for sitting down and putting your shoes on and taking them off. Then just store them underneath! It’s genius really. This would be perfect for my fiancé because he always sits at his desk or the couch to put this boots on for work so he just ends up leaving them there when he’s home. If he had a designated place to sit, I’m sure I’d stop tripping over his shoes in the living room. How cool would it be to have a rotating shoe carousel? Very cool, that’s how cool. 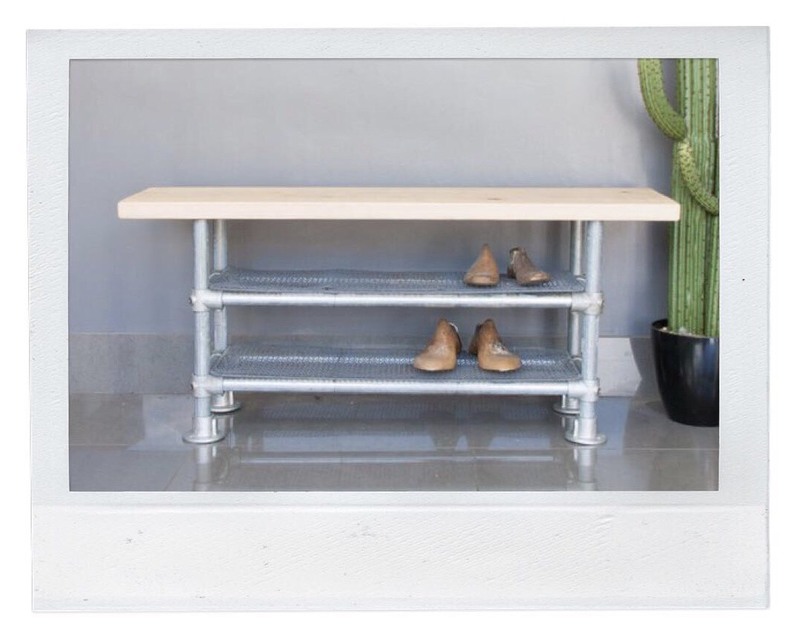 You can put your shoes, bags, and accessories on display and make all your friends jealous. It looks like it’d be in Barbie’s closet and what girl (or boy) doesn’t want a Barbie closet? 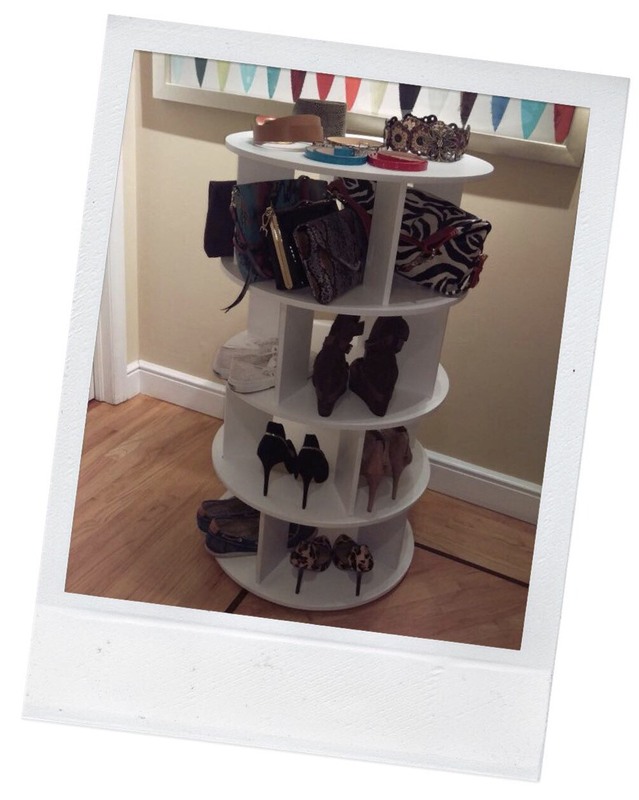 Another pretty shoe display. This one is great for the minimalist. Just put your go-to shoes on it and add a few other accessories and you have a piece of art. How pretty is this one?! If you’re going to display your shoes like books, organize them like books. Put wedges with wedges, sandals with sandals, sneakers with sneakers, or organize by color! On the bottom where there is no shelf, you could put baskets and store all your socks so that everything for your feet are in one place. A great way to organize shoes for a family is by assigning baskets to each family member. Put all of dad’s shoes in his own basket so they don’t get your nice heels all dirty. Or you could also write shoe types instead of names. One basket for sandals, one for sneakers, etc. 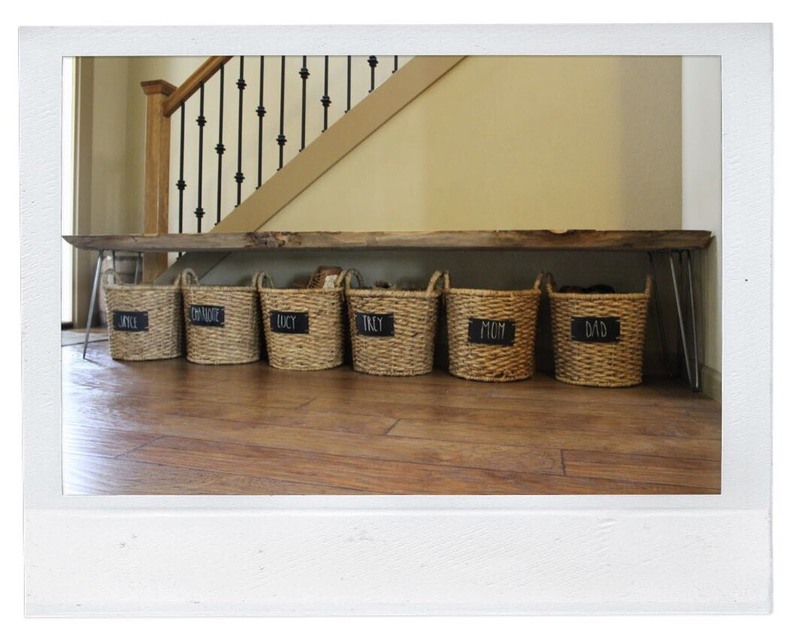 Store these baskets under an entryway table or bench for maximum organization (and to save space). I’m a fan of using pallets because they are free! If you’re on a budget but never want to lose your shoes, go down to a furniture warehouse, farm store, or even a Home Depot and ask for a pallet. I used to work for a furniture store and we would throw out pallets that building supplies came on all the time. Just ask and most likely you can score some pallets. Just be sure to seal the wood with a stain or wax before using to prevent bugs. This is one crafty way to store shoes in dead space. Have a little crevice you don’t know what to do with? This! Do this! Tension rods never looked so good. 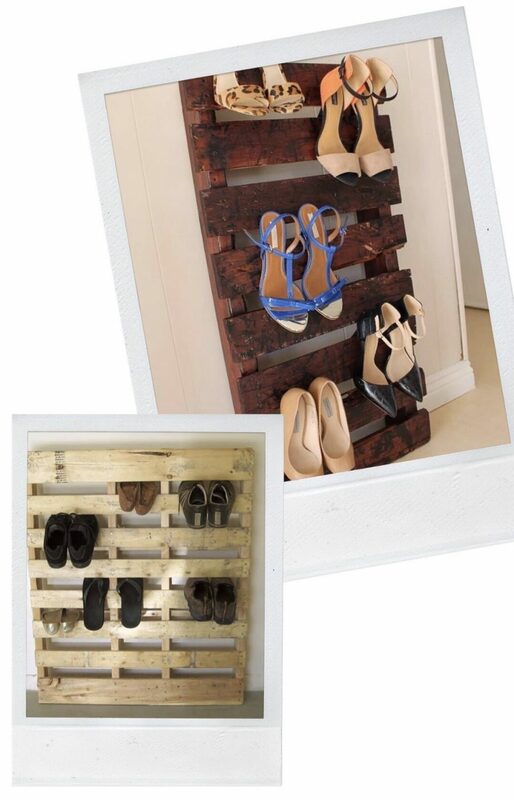 Using crates, you can create a place to store shoes that you won’t want to stop looking at. This storage idea is beautifully done and the best part is you can do it in a matter of minutes. Hang up those boots! They will be off the floor and easily seen when you want to wear a pair. 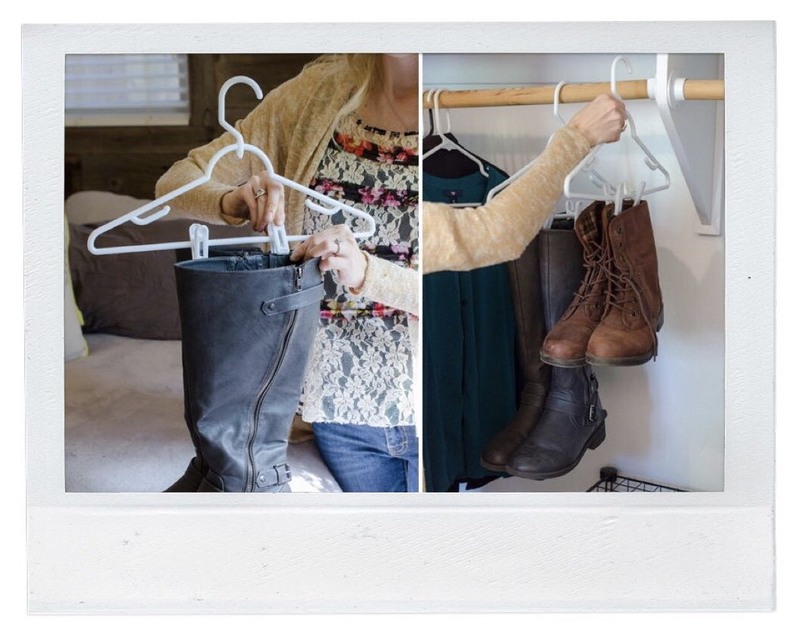 I like this idea because it’s hard to misplace boots if they are hanging at eye level. Shoe storage, school style. This DIY is giving me all sorts of school/fast food play area vibes. It reminds me of when I was a kid and I like that. It’s beautifully made and perfect for spotting the shoes you want to wear easily. Buy it at Bed, Bath, & Beyond for only $36.99! A cheap and very cool option to store shoes is this rotating tree! 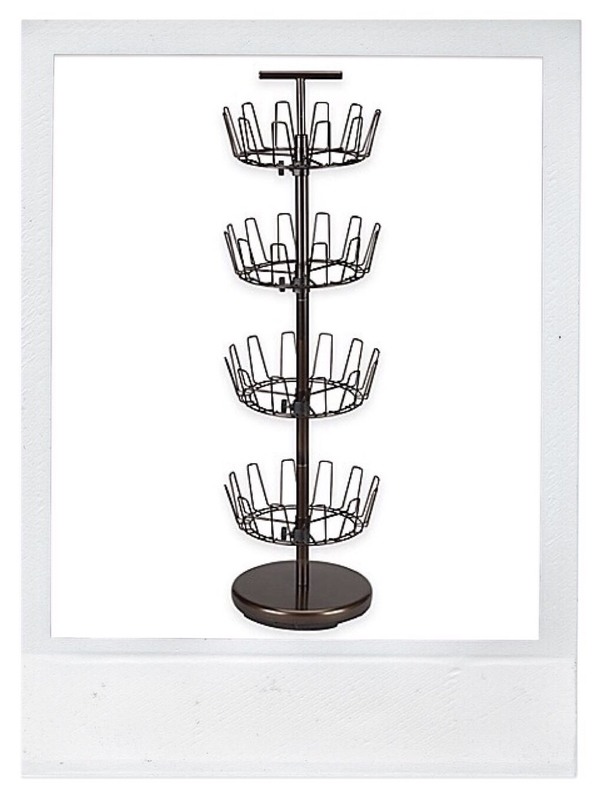 It looks like a cross between a coat rack and a lazy susan but for shoes. You can put it in a corner and save floor space too! I’d put flip-flops on one tier, sneakers on another, flats on one, and then boots on the bottom. At that price, I might have to buy one of these ASAP. Which one of these would you try? I’m curious to know your favorite! 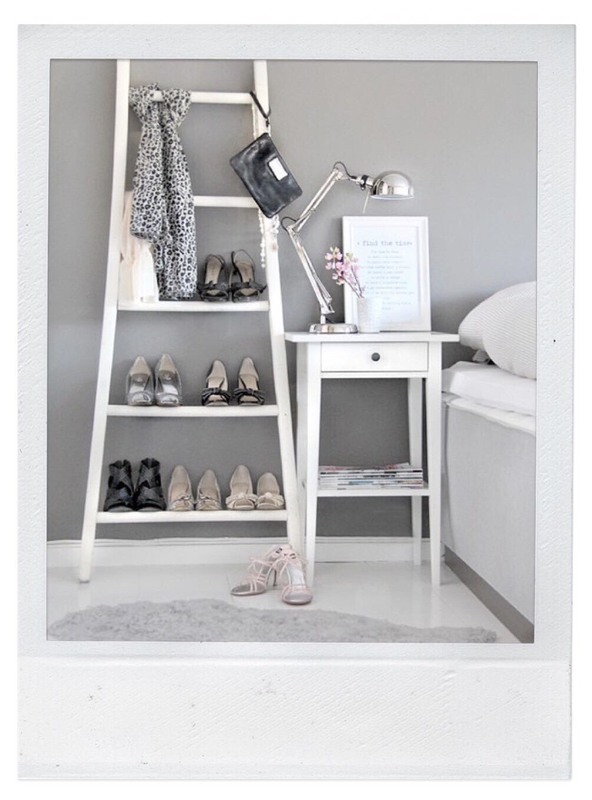 I think my number one would be the DIY ladder shoe shelf because it’s unique and fun to look at. Do you have your shoe storage organized? If not, it may be time to start thinking about it!